Your uniform plays a big role in your ability to perform your life-changing work. In addition to setting you apart from others, it has the durability and utility necessary for wading into most common scenarios. We understand that the right fit is vital to your success. 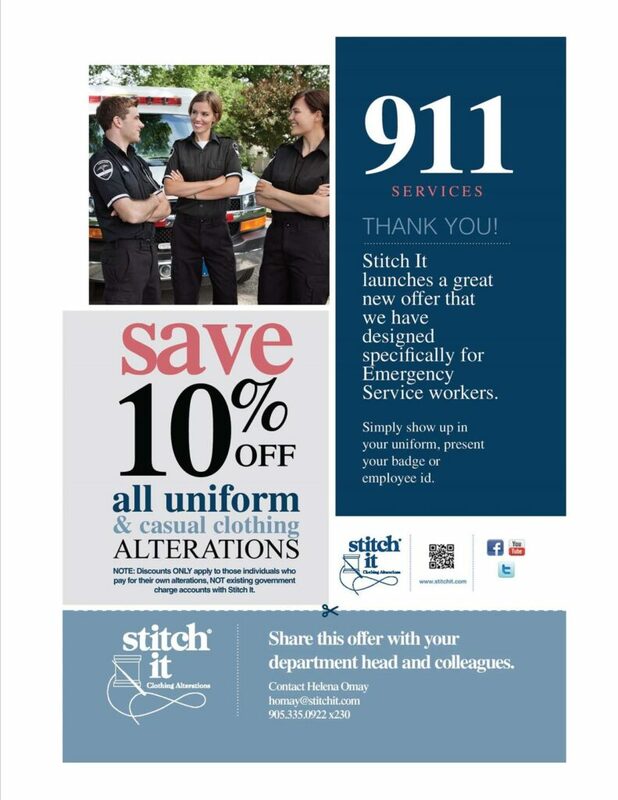 To this end, we are pleased to offer a special deal on uniform alterations. 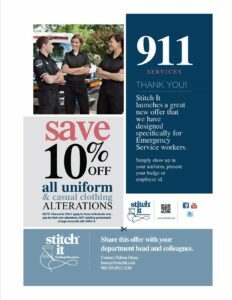 Enjoy 10% off alterations to your uniform (when paying for your own alterations.) Arrive in your uniform with the appropriate badge or employee ID and we’ll get the process started. We also offer 10% off casual clothing alterations, so you can fit comfortably in your clothes when you’re on the job and when you’re not. Find a Stitch It location near you and ask about our uniform alterations today!